At the end of the rainbow you will find a shimmering, glowing pot of gold. 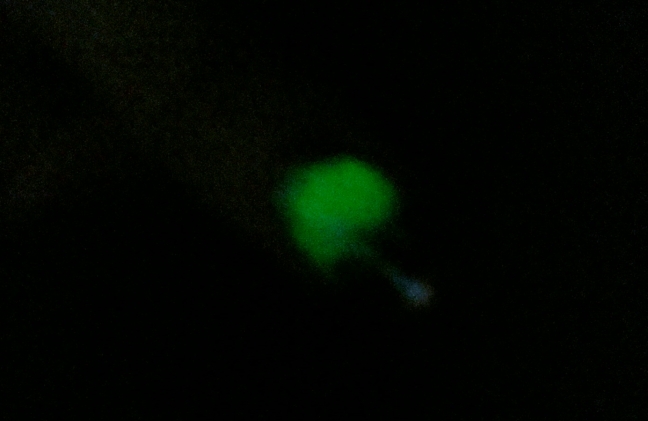 I just knew that I wanted to incorporate something green glow-in-the-dark for St. Patrick’s Day. 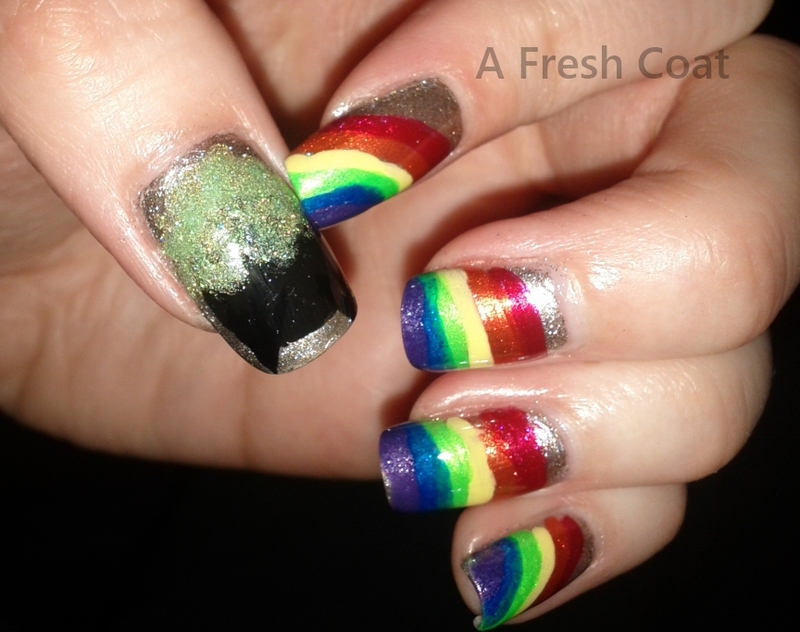 However, I must say that the rainbow across my nails with the pot of gold was my brother’s idea. OPI’s Zom-body To Love is an awesome glow-in-the-dark polish and it also matches the current green occasion. 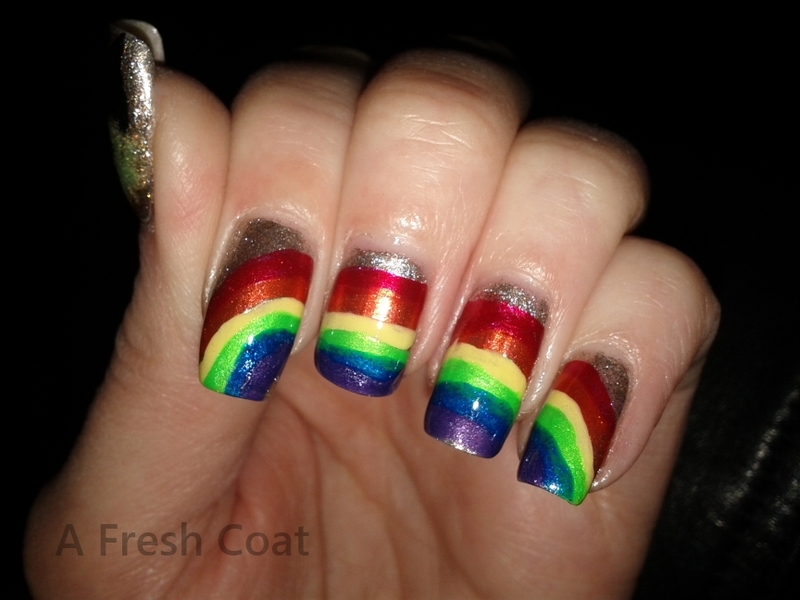 This reminds me of Rainbow Brite! !